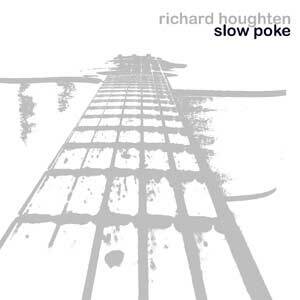 Richard Houghten's beautiful electro-acoustic debut is a true gem. Houghten deftly combines electronic and acoustic instrumentation to create a seemingly effortless and inspiring six track EP. ""Slow Poke" is a continuation of Richard Houghten’s "Untitled #3" incorporated on last year’s (2004) Boltfish sampler "Region Zero". There’s a strange groove to most of the tracks on "Slow Poke", the layering and use of reversed recordings adding to that effect. And the minimal and acoustic take is most definitely unique sounding. However, especially catering to my taste is the sixth and last track "Cup" with beautiful bass, unidentified sound contraptions, melody and savvy beats. Weighing in at 3.54 it could very well have been a little bit longer, but then again it’s not only the longest track on the EP, you’ve always got the option to hit repeat!" ""Slow Poke" is an altered audio battery, which is brimming with acoustic rumblings." "Boltfish continue their crusade of cinematic, organic electronic music with another typically intriguing release. This 6 track EP opens with ‘Windshield’. A track that meanders along with some interference on the groove and some stunning chords to catch the ear. ‘Birds and Bugs’ has a pained violin twisting and contorting along with some minimal acoustic touches. And so the pattern is set for the remainder of the EP, strings and not a definite beat in sight… it’s an interesting piece of work, haunting and dramatic. The type of music that creates it’s own form, but never rests in the shape it has grown."